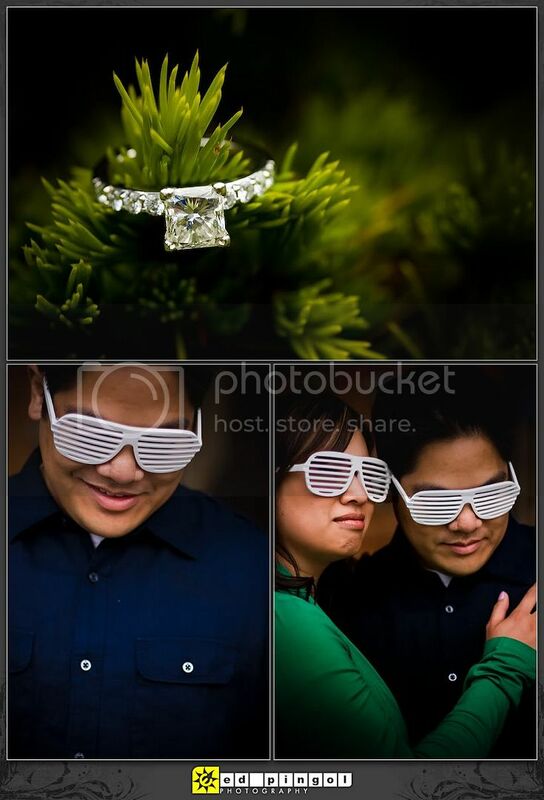 marjorie and eric are such a pair of beautiful, fun-loving "foodies!" seriously, it seemed like we spent as much time photographing them as we did talking about which restaurants we recommend and wish dishes we just have to order next time. they met us early on sunday morning at the japanese tea garden, which was such an awesome time to visit since there were only a handful of other patrons. 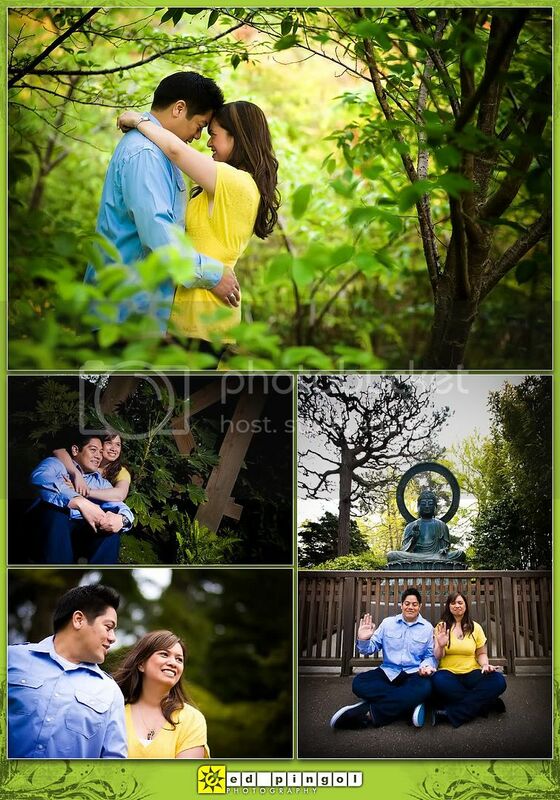 (this of course, included another set of photographers and their own e-session clients.) 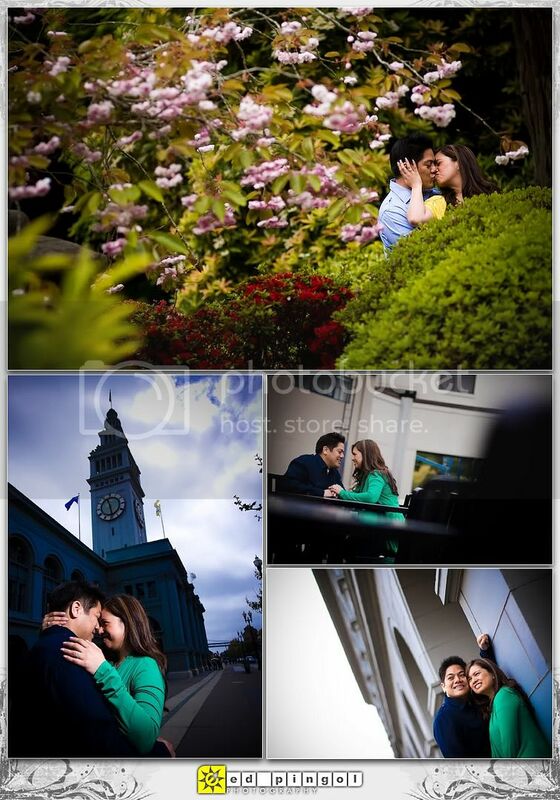 the two were lucky enough to have the first part of their photo session documented on video by chris and christine of c3 videography. we spent the rest of the morning at the embarcadero, around the ferry building and neighboring piers. although the sun wasn't shining as much as we would have liked, it still was a great time for them to bust out their "kanye west" shades. can't you tell these two are big fans? of course, we couldn't end the session with our fellow foodies without having a bite to eat... sweet potato fries and a chocolate peanut butter milkshake from taylor's automatic refresher. thanks for the light lunch, marj & "e" and congratulations on your engagement! can't wait to see the video footage!